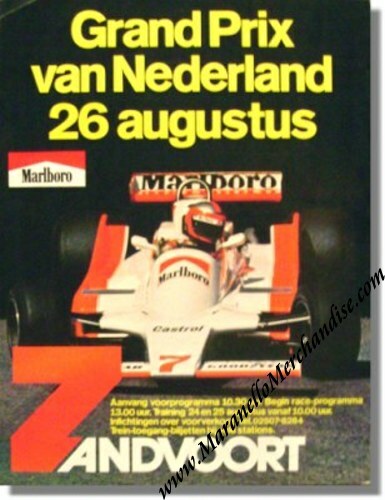 Original 1979 Zandvoort GP Race Poster. Great art work showing John Watson's # 7 Mclaren M29. The race was won by Alan Jones in his # 27 Williams FW07 while Jody Scheckter took second place with his Ferrari 312T4 and Gilles Villeneuve blew his left rear tire in SPECTACULAIR fashion!